Many candidates don’t do this kind of ‘thinking’ properly until they get into the interview room. Big mistake! How do you assess what you’ve got on your CV? Firstly, make sure your CV is up to date! Ensure that everything relevant is on there. Your CV should rarely be more than 2 pages long. Once you’ve updated your CV with all your extracurriculars, it’s time to assess the quality of what you’ve got. This is not about how to craft your answers. This is the thinking-heavy part. It is one of the hardest parts of the pupillage process. But this is what candidates do anyway! Why the big deal? Because many candidates who get first round interviews tend to be stumped as to why they didn’t get to second round. Separately, chambers have complained in the past that candidates arrive under-prepared and this is a shame for all concerned. Taking the time to assess your CV will help you develop your answers both on your application form and at interview. It will also help you convert into second rounds. To do this ‘thinking work’, you need to know what you need to think about and how to do it. The rest of this section addresses the most important parts of the thinking process. So how do you go about assessing what you’ve got on your CV? Competencies. By the time candidates are halfway through the BPTC, they should have several examples for each competency. You don’t have enough work experience (usually spotted when you use the same example for multiple competencies). 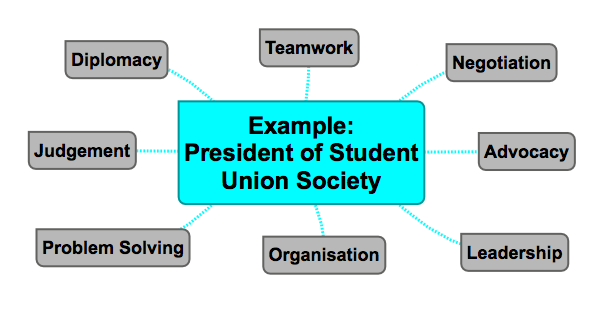 A different way to do this is to take each major experience you have (volunteering, mooting, running a student society etc) and think about how many competencies you can attach to that one activity. These things don’t have to be related to law. 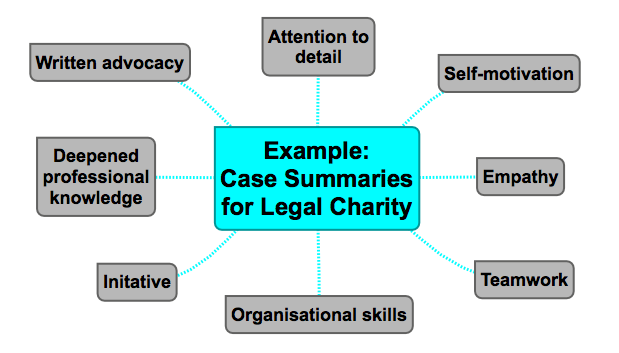 You should do this for all your work experience, not just the law-related activities. Remember, when you answer a question (either on paper or at interview), the person reviewing the answer should not have to join up the dots for you. By this, we mean that they should not have to realise that a certain position of responsibility can demonstrate several competencies. They expect you to spell this out clearly in your answers. Either of the two methods above will help you get that clarity. Once you’ve linked each competency to a relevant example of (work) experience, you then need to look at your strengths and weaknesses. What are your strengths? What do you excel at? Where are the gaps? Where do you feel as though you’re lacking experience? Once you know what your strengths are, you’ll be able to put those into your answers. Once you’ve identified your weaknesses, you can work on a plan to deal with them. Then, you need to start thinking about your ‘X’ factor. Competencies. You’re going to love them.